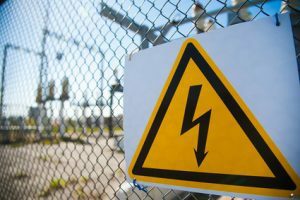 How much compensation can I claim for an electric shock injury? Electricity is a very useful utility. It would be very hard to imagine the world today without electricity. However, electricity is a very dangerous utility that should not be taken lightly. Every year there are thousands of cases of people being injured by electric shocks and suffering severe health problems due to negligence in a workplace environment, or in a public place and this may entitle them to make an electric shock claim. The effects of electricity on the body are devastating and have serious consequences if not treated immediately. 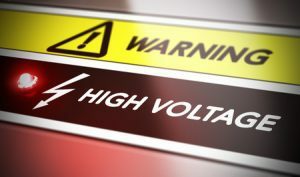 Electrocutions (death by an electric shock) in the workplace are not uncommon. There are many incidents where employees or bystanders are injured because of an electric shock either at work or in a public place. Many people need to answer the question; after receiving an electric shock at work can I sue my employer? If you have suffered an electric shock, or lost a loved one who was electrocuted, it is important to understand that there are ways in which you can be compensated for your injury or for your loss. A guide to electric shock accident claims. Symptoms of an electric shock. What to do if you are involved in an electric shock accident. Claiming compensation for an electric shock accident at work. Claiming compensation for an electric shock accident in a public place. How to begin an electric shock accident compensation claim. What can be claimed for after an electric shock accident. How much compensation will I get for an electric shock accident? No win no fee electric shock accident claims. Why choose us as your claims service for an electric shock accident claim? Within this page, you will find information that will point you in the right direction in your search for seeking compensation for receiving an electric shock at your place of work, or in a publicly accessible space. This page will attempt to inform you of how much you can expect to be compensated, and detail how we can help you make a claim. Our representatives will work on your behalf under a No Win No Fee electric shock accident claim agreement, which is explained in greater detail further down the page. Falls – these injuries occur when electricians are working on a wiring task. They may need to use a ladder to reach the wiring, and fall off and hurt themselves when they receive an electric shock. This type of injury is more concerned with the physical damage an individual may receive from a strong electric shock that makes them fall from the ladder, or in extreme cases, propels them from the ladder with added force. Electric shocks – these injuries are the side effects of having an electrical charge running through the body, that most individuals feel in their hands or other extremities. What is a major misconception about electric shocks is that in order for it to be a serious health concern, the electric shock has to be of great Yet that is not the case. Small electric shocks are capable of causing major damage to the internal organs. It is important that whatever level of shock you may have received you get a medical examination carried out to make sure there are no lasting medical effects. Electrocution – the last of the four types of electric shocks that may happen is Electrocution. In this case, this is known as being electrocuted and death due to electrocution is by no means an uncommon event. Inconsistent heartbeats, in some cases cardiac arrest. Bone fractures and breakage due to the intensity of muscle spasm. The nervous system may become damaged. Those who have had an electric shock may receive minor or severe burns. If you have received an electric shock at work or in a public place, there are some steps you should follow before seeking an electric shock injury compensation claim. Take photos of the place where you were shocked. This will prove very useful in making your claim. You will have photographic evidence. Get witness details. These are eyewitness testimonies that will also serve to make your claim that much more verifiable. Visit a doctor or hospital for a medical exam, and make sure the injury is fully documented. Write down, yourself, what happened during and after the accident. Write how you had been injured, the pain you felt, details about the doctor visit, the money you spent on medicine and prescription drugs you may have bought. Reach out for a solicitor to help you pursue your claim. The evidence you provide will speed up the process. If you have finished the first four steps you can contact us for a free consultation and our team will start to work out the best way to go about getting you the compensation you are entitled too. Our staff are here to help you through this process. You will not have to pay anything throughout the claims process, and if we lose the claim, you won’t pay us anything, as we will represent you under a No Win No Fee arrangement. You truly have nothing to lose. You might think that because you were electrocuted at work that you cannot sue. This may be due to you thinking that it was just faulty wiring or maybe you thought you cannot sue because it was just an accident. However, that is not the case and under the Health and Safety Act of 1974 employers are liable for the safety and welfare of their employees. There are numerous regulations that employers must follow to ensure the employee’s health and safety. The Personal Protective Equipment (PPE) at Work Regulation of 1992 requires the employer ensures that the protective equipment used by the employee is acceptable and suitable for the task. In other words, that the equipment and environment that employees are working in are safe. The Management of Health & Safety at work Regulation of 1999 requires that your employer must maintain a safe environment for their employees at all times. The Electricity at Work Regulations of 1998 provides instruction regarding the health and safety training employers must give to their employees. Within this regulation are guidelines on how to deal with live wires appropriately, along with assessing the safety of electrical equipment. Electric shock accident at work claims are also made on a No Win No Fee Basis. This final entry on the above list is one that is the most useful tool in your attempt to gain compensation for your electric shock at work. This is why it is very important to make sure that if you have received an electric shock at the workplace that you take pictures and get witness statements. If you have this kind of evidence, you will be better able to show that the employer has not complied with the regulations. In showing the negligence of the employer you are much more able to seek your compensation. Repairing faulty wiring, which is one of the major causes of electric shocks. Inadequate training to operate equipment, or operation of poorly maintained equipment when performing a task. Unqualified electricians who are given an assignment they lack the training to complete safely. Under the Consumer Protection Act of 1987, this law requires that electrical appliances manufacturers and retailers supply to the public are safe to operate. You are entitled to electric shock compensation even if you are not in a work environment. The law requires that business property owners do everything they can to make sure that the property they operate is as safe as possible. If the place of business fails to maintain a safe environment, they can be held responsible for the injury an individual receives while on their property, due to their negligence. At the same time, individuals who buy certain electric appliances and receive any of the four electrical injuries related to electric shocks as stated above, are also able to file a complaint and receive compensation. Likewise, with contractors who may work on your home during the renovation, and perform whatever task that was assigned to them inadequately, creating an electric shock risk, they too can be held responsible if you receive an electric shock. Hotels or other short-term accommodation. Any accessible public place that is owned by a local government body. If an individual enters a specific place within a time-frame that doesn’t coincide with the publicised opening hours, the person will not be compensated for any injury they received. So you now understand the law and understand that even though it was an accident, you should not be the one who has to pay for being injured. You can likely claim compensation for the electric shock you received. We recommend you contact us immediately, and we will arrange to have a free consultancy session with you. During this session, we will ask you to explain what happened, and how you received an electric shock. We will use this information as a basis for a compensation claim on your behalf, and in almost every case, we will offer to take on the claim under a No Win No Fee agreement. Motor controls are affected (nervous system damaged). Renal system is damaged (urinary system). Bone fractures due to severe muscle spasm. Care claim – if you have needed help around the house because you can no longer fully care for yourself as a result of the electric shock, then any costs incurred can be claimed for. Wages or salary from work. Travel Expenses – covers the travel costs that pertain to having the injury treated, including ongoing visits for therapy. It also covers travel costs associated with making the compensation claim itself. Medical Expenses – for all treatment costs related to the electric shock injury, and this includes the initial treatment, and the cost of ongoing specialist care and therapy in the long-term. How much compensation you will receive for an electric shock depends a great deal on the severity of the injury and its effects. The injuries you have received fall under the guidelines laid down by the Judicial College and the compensation amounts those guidelines detail. The compensation you will receive is driven by the severity of the electric shock coupled with the prediction of your recovery time. Needless to say, the greater the severity of the accident the more you will be compensated for your injuries. The same goes for the family members who have lost a loved one due to death by electrocution. The average compensation for electric shock is listed below. If you are wondering, “How much can I claim for electric shock”, here are the answers. Loss of function in one or both legs. Minor - severe Amputation due to the severity of pain or short term pain in fingers. Severe Loss of motor function as a result of the muscle spasm. Minor to severe Lifelong disability, persistent pain. Receiving an electric shock can cause major health problems and affect the body in a variety of ways. Whilst an electric shock claim compensation calculator might give you a rough idea of how much you can claim, it is no substitute for the great legal opinion we give in our free consultancy session. The last thing you want or need to worry about during your recovery time, and during the ordeal of seeking compensation for your injury, is to have to worry about paying someone to represent you legally from your own savings. However, we can offer an alternative. With a No Win No Fee arrangement, sometimes referred to as a Conditional Fee Agreement (CFA), you will not have to worry about having to pay if you fail to receive compensation. Furthermore, with a No Win No Fee case, the maximum we charge is a 25% fee based on just how much you received in damages. This fee is a maximum and it may be less for certain cases. However, what is very important is that this 25% is taken out of the compensation you receive. No compensation, then no fee. We offer a simple way for people who have suffered an electric shock injury, to secure the compensation they are entitled to. We pride ourselves on our relationship with our clients. We approach each new case diligently, and with the same brevity regardless of the amount of damages being sought, or our potential fee. We value honesty and integrity and you pay nothing if you lose your claim. We offer a free, no obligation consultation to discuss your claim. We have dealt with many electric shock at work compensation cases in the past and have won. We can also arrange the After the Event (ATE) insurance, which will pay for all your unrecovered costs incurred during the process of making your claim. This means that you really will not have had to pay for anything! If you have suffered an injury as the result of an electric shock, whether at work or in a public place, you need to contact us to make sure you have the best chance of making a compensation claim. We will be able to arrange the initial free consultation with you and begin the process of claiming the damages you are entitled too. You can either call us on 0800 073 8804 and speak with a representative that can help you with your claim, or you can use the contact form on this website and we will contact you.